What are the best Herbalife Marketing Tips I can share with you? Let me begin by telling you that Herbalife® is one of the top 10 biggest and most successful multi-level marketing companies in the world. They are a multi-BILLION-dollar company. They’ve been around almost 40-years now. Herbalife is a MAJOR player in our great industry. They have products that people want and need. Their products are fantastic. Although I am not affiliated with the company in ANY way, I have a ton of respect for Herbalife. 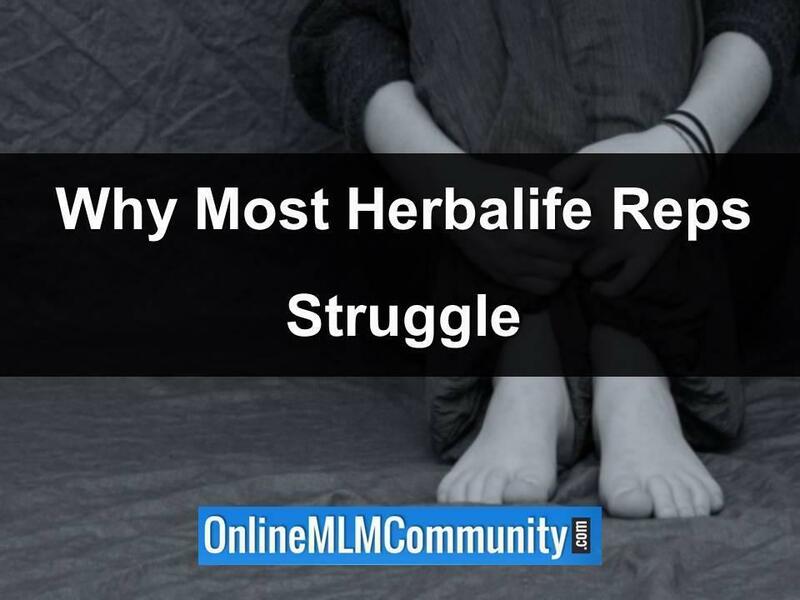 While many people do earn large incomes with Herbalife, it’s a proven fact that most people struggle. This is not exclusive to Herbalife. It’s actually quite common in all MLM Companies. In my opinion, people struggle for just TWO REASONS. They either don’t have the right skill-set or they don’t have the right mindset. Network marketing, just like any other profession, requires specialized knowledge. In addition, people must make the mindset transition from employee to entrepreneur. 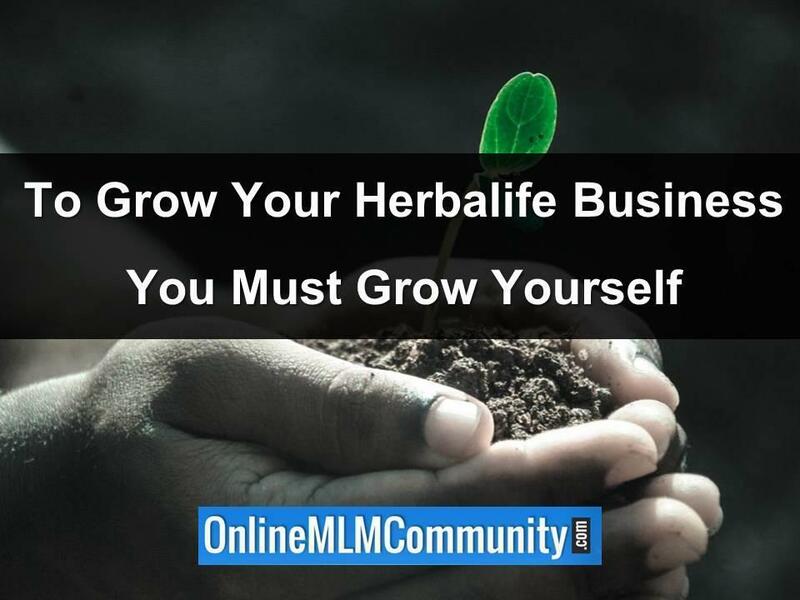 Until you learn to think and act like an entrepreneur AND master the basic network marketing skills (prospecting, inviting, presenting, closing, teaching, leading and selling) you will struggle in your Herbalife business. Most people do not enter our industry with these skills, but ANYONE can take the time to develop the right skill-set and right mind-set if they choose to. You see, sales and marketing are the lifeblood of any business. When you have your own Herbalife business, your products are not your real business. The products are important, but they are NOT the business. Instead, marketing and selling your Herbalife products (and the business opportunity) is your real business. In other words, your ability to generate leads, retail, recruit and build a team are what will make you money in Herbalife. If you can’t learn to do those things you will fail. PERIOD. Even though the Herbalife products are great, they don’t sell themselves. You don’t need to be a sales superstar to succeed, but you do need to know how to meet prospects, share the products, overcome objections and close sales. You need to know how to launch new reps, build leaders and duplicate yourself. Most Herbalife reps have never been taught how to market their products and they’ve never had a sales or marketing job before. Most new reps have very little leadership experience. Even worse, most reps have never owned a business before. As a result, many reps are clueless about what it takes to build a successful business of any kind. Fortunately, ANYONE can learn these skills if they invest the time and money to do so! My goal today is to help you succeed with your Herbalife business. I want to share my top 10 Herbalife Marketing Tips with you, so you can get better results in your business. They are listed in no particular order. People are emotional creatures. Write that down. If we were logical, no one would be overweight in the first place. Everyone would eat healthy and exercise regularly. Because we are emotional creatures, we make emotional decisions and then justify it with logic. It’s just human nature. When you are trying to make a sale, or recruit someone, focus on the person’s emotions. Forget about the details. Forget about the ingredients. Most people really don’t give a crap about that stuff anyway. Do you actually think most people read the label on everything they buy at the supermarket, or at McDonald’s? Nope. What people really care about is “what’s in it for me?” That is their favorite radio station: WIIFM. You need to find out your prospect’s hot button and tailor your presentation around that. Figure out what their problem is and then offer them a solution to that problem. Make them look good for their upcoming high school reunion. Help them lose weight so they can find a date. Help them get healthy so they have more energy to go mountain biking on the weekends with their friends. Help them lose weight so they can wear their bikini this summer at the beach (and feel good about themselves). Remember this; each person’s hot button will be different. It’s your job to ask questions (and listen) so you can figure out what their hot button is. After you do that, tailor your sales presentation around that hot button and you will make more sales, and recruit more distributors. Show them what’s in it for them and they will move mountains and earth to get it. On the other hand, show them what’s in it for you and they could care less. Name one successful business in the real world that doesn’t have a written business plan and marketing plan? Can you? I don’t know of any. Herbalife is a REAL business. To succeed as a distributor, you need a written business and marketing plan AND a daily action plan. You need clear goals, a strategy you can follow, and a sound daily routine so you can be effective and efficient. Most people who sign up as a Herbalife distributor don’t do these things. They just “wing it” and hope everything will work out for the best. They don’t have a clear goal, nor do they have a plan to get there. This leads to frustration and burn out. Spend some time and write down your business plan and daily action plan. Get feedback from your sponsor and successful upline to see what they recommend. Do NOT skip this step. Failing to plan is planning to fail. Most companies in our great industry do a horrible job at teaching their reps marketing. Making a list of family and friends is a fine starting point. It’s something anyone can do. But it sure isn’t the ONLY way to build your business. Most people are screwed after they go through their warm market. They don’t know what to do next. They don’t know how or where to find prospects. Do NOT let that happen to you. Study marketing. Study direct response marketing. Learn everything you can about lead generation. I can assure you, everyone who does well in Herbalife knows how to generate leads. Without leads, there is no business. No one to talk to. I encourage you to spend 30-minutes a day to study marketing. There are tons of great YouTube videos on the subject. There are tons of books on the subject. There are even generic marketing and lead generation conferences and workshops you can attend. You can even buy audio CD training programs that teach you about marketing and lead generation. Once you master lead generation the business becomes much easier to do. When you have a steady flow of new leads each day, the business becomes PROFITABLE. Study DAN KENNEDY. That dude is a marketing genius. There are many other marketing gurus, but he is the best-of-the-best, in my opinion. You can check out his books on Amazon. Order a few of them and study them. You owe it to yourself, and your team, to get good at marketing and lead generation. We get paid based upon the value we bring to the marketplace. The more value we provide the more money we make. The more people we serve the more money we make! People join PEOPLE, not companies. People buy from people they like, know and trust. Make sense? It’s true. Work on yourself. Learn more about the company’s products. Get healthy yourself. Learn about your company and the profession. Maintain a great self-image. Invest in your business education. Develop your skills. Become someone worth joining. Ask yourself, “would I want to recruit someone just like me?” If yes, you are on the right track. If not, you need to work harder on yourself than you do in your business. The better you become, the more people will WANT to buy from you. NO ONE wants to sell their home with the brand new real estate agent who has never sold a home before. Instead, they want to list their home with the top agent in the agency. The same holds true in Herbalife (or really anything else). People want to do business with professionals, not amateurs. Work on becoming a professional in your business. It is time and money well spent. It’s one of my best Herbalife Marketing Tips. Act AS IF you have ONE MILLION dollars invested in your Herbalife business and you have one year to earn it back. Wearing the button is a great way to get more leads for your Herbalife business. Some people might think it is silly, but it does work. Countless people have achieved success with Herbalife simply by wearing the button. The button will spark people’s curiosity. Not everyone, but some people. If they are interested, they will ask you questions: just what you want them to do. Wear that silly little button everywhere you go. Oh yeah, make sure you know what to say when people ask you about it. The last thing you want to do is give them a dumb and confused look. Have a simple little elevator speech that you can share with them. Get really good at asking questions and getting their contact information. Whatever you do, do NOT puke your business or presentation all over them. Be short and sweet, to the point, get their information, and follow-up with them later. You should maintain a nice balance between retailing and recruiting. Don’t just focus on recruiting and don’t just focus on retailing. Understand the difference between network marketing and direct sales. Direct sales is like the Avon lady. All they do is sell products. Network marketing, on the other hand is about a LOT of people using a few products themselves, serving a few customers and recruiting a few distributors. If you ONLY retail products, you will not get the leverage or duplication that network marketing offers. Also, if you just focus on recruiting, you will leave a lot of money on the table, because most people you talk to are much more qualified to be a customer than they are a distributor. Balance is key. Do both. Personally, I suggest leading with the business and then offering the products. Why? Because MOST people you talk to WANT to make more money, and a much smaller percentage of people actually care about their health and are willing to buy health products and supplements. Food for thought. Like I said earlier, Herbalife is a multi-billion dollar company. What does that mean? It means there are LOTS of people in the company making SERIOUS money. What you need to do is find SOMEONE in your upline success team who is successful, has a game-plan and is willing to help you succeed. This may or may not be your sponsor. In most cases, it will not be your sponsor. Once you meet this person, humble yourself to be quiet and follow their lead. Do not question what they say. Do not reinvent the wheel and try to do it your own way. If they’ve achieved success in the business, they know what they are doing. If they are willing to help you, consider yourself lucky. Could you imaging buying a McDonald’s franchise and then trying to do everything your own way? You change the menu, meal plan, store layout, etc. If you did that, you would lose your franchise. Herbalife won’t terminate you for not following your successful upline’s lead, but you are crazy not to! One of my best Herbalife Marketing Tips is to develop an online presence for your business. What does this mean? It just means you have a few pieces of content on the internet working for you 24/7. None of these things are overly complex or hard to do. Most are free. You want an online presence so people can find you online, especially when they search for a local Herbalife distributor in your home town. This CONTENT also helps you pre-sell your prospects on YOU, which is vitally important. This is one of my favorite Herbalife Marketing Tips. You could create your own weight loss group or weight loss challenge with a few of your friends. Get a group of people together who want (and need) to lose weight and do a 90-day weight loss challenge. Facilitate the group. Let the group be free to participate in, but people have to be a customer of yours to have access to the group. Even finding 5-10 friends who agree to do the weight loss challenge with you could provide you a nice little retail income. Plus, it would be a great source of referrals. You could even create a virtual weight loss group on Facebook. Starting today, build a database with your prospects. Everyone you talk to, everyone who becomes a customer, everyone who requests more information, everyone you meet, and everyone who joins your team goes into your database. You can use a fancy software program to track these people or a simple Excel Spreadsheet. Let me take a moment and show you how powerful this can be. Let’s say that for the next 5-years you talk to three people a day about the products or business. Let’s also suppose that during that time frame you find 100 customers and sponsor 100 distributors (that’s less than 2 per month). If you were to keep EVERYONE’s contact information in your database, you would have around 5,200 names in your database. If you did a good job staying in touch with these folks, once per month, you would be amazed at how many additional people you would recruit or sell products to. You would be surprised at how many people who dropped out of the business, or customers who stopped ordering, eventually come back to do business with you! For any business, their greatest asset is their LIST. These are people who have done business with them in the past, and leads that have not been converted yet. After five years, you would no longer need to talk to 3 new people per day. You could instead reach out to a few people in your database (people who already know you) and communicate with them. These prospects will be at least 10x better than a cold prospect off the street. Following my Top 10 Herbalife Marketing Tips will help you improve your Herbalife marketing efforts and grow your business. It will help you find more customers and distributors. Not all of this is rocket science, but I hope you found the information helpful. What are your thoughts? What are your best Herbalife Marketing Tips? Leave a comment below to let me know what you think. I look forward to hearing from you. Have a great day. Disclaimer: Herbalife is a registered trademark. I am in no way affiliated with the company. Whether you are promoting Herbalife, or any other network marketing company, these success tips and marketing tips are spot on. I wish I would have learned about tips like this when I first joined the network marketing industry. I really like your idea about having a written business plan for your Herbalife business. I know why traditional businesses do it, but I never considered doing it for my Herbalife business. I’m going to use the template you provide on your website and see what I can come up with. Thanks. Good for you. Having a written business plan is VERY important. It doesn’t have to be perfect. It will change constantly. The whole goal of creating a business plan is simply to get your creative mind thinking. This post is really nice and the tips you shared can apply for any kind of business. Using Herbalife is a lifestyle change but the results are great. If you’re going to lose weight, you need to make some healthy lifestyle choices, review what you eat, eat healthy, drink less alcohol and do exercise a lot more. I think we can achieve the results. I’m glad you enjoyed my Herbalife tips. One thing the company’s reps do very well is create a community, especially with their nutrition clubs. These are some great Herbalife marketing tips. These tips really apply to any network marketing company. Keep the business simple, follow someone successful, treat your business seriously, and have a little patience. Success equals skills + hard work + time. Thanks, Nick. Most new MLM Reps don’t receive any entrepreneurial training. They’re just told to use the products, make a list and contact everyone they know. That is much better than doing nothing at all, however, I think having a solid strategy, some training on the fundamentals and a good coach can make all the difference. This is brilliant, just the kind of tips i needed, i started herbalife a few years back and was winging it and flew up the marketing plan and then it crashed because i didn’t have a good structured plan and any idea where i was going,. I have been out of the business a year now and just starting back up properly and looking to re-focus and this is exactly what i need. I’m glad I could help. I wish you big success with Herbalife. Not having a clear, step by step plan is a recipe for disaster, especially in a MLM business. I’ve been promoting Herbalife products for over 2 years and it was very difficult in the beginning. I didn’t really know what I was doing and it took me several months to get the hang of it. I was running around aimlessly and wasting time, energy and money on all the wrong things. Once I stopped doing the wrong things, started planning and doing something each day to grow my business, I was on my way :). Your tips are very sound and any newcomer will find them very useful. Thanks! Coming up with a plan is the easy part. Getting others to commit to follow it is something much more difficult to do. Great post! I think the tips you shared can be used for most network marketing companies. I am a big fan of getting the other person’s information so that you can be the one to call. I have had to step out of my comfort zone many times but it has been worth it every time! Yes, getting the other person’s contact information is very important. Don’t expect people to call you. You have to call them. Herbalife has some great products. I think it can also be a helpful plan to share samples when it is possible. It is important that you get contact information from those you share samples with and do a follow up with them shortly after. The quality of the products will have people desiring to use them more, and once you gain a customer, you can then proceed to show them how they can get their products free or reduced by becoming a distributor. I also see many people who put decals on their car back window. This seems to be a popular marketing method that works. Yes, they do have some great products. It encourages me to know that Herbalife is still going strong. I first heard of them in the 80’s when a friend approached me. I did not become a distributor, but I did try the products and liked them. I was not aware that weight loss was such a big product line for them, but with the greater part of America suffering from obesity, I imagine it is a fertile market. It must be a stable company after being in the industry for so long. Yes, they are still a power house in the industry. These tips are great and really can be applied to any marketing system. I have looked into many of these and I can say that more than 60% of them go in not knowing what the heck they are doing and that is why it fails. You have a small 15% of them sitting at the time because they actually do know what they are doing and do it well. I’m glad these marketing tips could help you out. You could use them to be successful in any company. Chuck, the last step you mentioned is building a list. I would also add to that. It is wise to invest in a great auto responder to keep your email list aware and knowing you are still around. Aweber has a great auto responder and if you set up a monthly newsletter, you can use it to automatically send to your list. This saves a lot of time and will help your Herbalife business. Building a list is quite perhaps the best Herbalife marketing tip that I can offer anyone. Many folks who tell you NO today will tell you yes in the future if you have a good way of staying in touch with them. Most people need to hear or see a message at least 10-20 times before they take action. This pertains to Herbalife and any other business. The real money is in the follow up. I have a problem getting out there to promote myself selling Herbalife and it’s frustrating. I’m currently unemployed and can’t afford to get business cards made and that means no one will take me seriously. I signed up to do it because I like to make people feel good about themselves. Can someone please email me something that I should do to make me feel better and not discouraged. I am sorry to hear you are unemployed. The first thing I will mention is don’t assume that Herbalife or any other MLM will magically make you money overnight. It takes patience, persistence, and hard work. You need to take yourself seriously. Business cards are great, but not every MLM success has them. If you want to feel better about yourself, just look in the mirror and realize you are alive. You have opportunities many other humans don’t. Start showing the products to friends, family and people you meet. Don’t pressure, just show and offer. If you have a good attitude and don’t show desperation, sales will come. Remember, you are a business owner and most businesses do not profit immediately. If you are unemployed, you should focus on getting a job first, so you can keep the financial pressure off your back. Once you get a job, focus on your Herbalife business for 10-20 hours per week and you will be good to go. No business, or MLM Company, is designed to provide immediate income, especially if you are new to it. If you’re struggling to build a business using money then you’ll have to talk to a lot more people because it’s free to do. Your sponsor should be teaching you this anyway. I don’t recommend new people spend money when they are just getting started. Work through your warm market. Get a few customers and use your retail profits to reinvest back in your business. I love reading your tips.. ive been doing Herbalife barely part time for 2 yrs now and I find few clients. But this time I am hoping to at least slowly find as much leads as I can so I can able to do this business full time. Its not easy and it really need lots of effort and work. Ive been handing out flyers and business cards but only few will get back. So I hope in time I cab generate more leads . Learning how to generate leads is the most valuable skill you can develop. Once you know how to do that, you can succeed in just about any type of business. Herbalife seems to be such a popular product these days. After seeing how it helped some of my friends in their fitness journey, I too tried the product and it did work wonders for me. I noticed a change in my ability to tone and strengthen my body which is what my main goal was. This product speaks for itself, so as long as you know how to market and advertise you will see huge success. I think I might see myself becoming a distributor in the near future. They are a great company Diamond. And I love their products, even though I am NOT a rep. Marketing is the key to success in Herbalife or any other type of business. You have to know how to find people, how to connect with them and how to make a sale. These marketing tips can be used in any direct sales business, not just Herbalife. Thanks for the comment. I am happy to be associated with Herbalife. I have Health and Wealth both to enjoy rest of my life. I found new friends around the world and we are growing. I am glad you have experienced good health and success with Herbalife. What marketing tips can you recommend to other distributors in Herbalife? What worked for you? How do you build your business? Leave a comment and let me know. I’m sure the readers on this page would love to hear from you. I am planning to lose weight from Herbalife. Also willing for a business plan, but the fact that it is (market) saturated is hampering me. There are new products in the market to lose weight and people are willing to spend there. The products are costly and every monitoring is to be done by the customer to lose, than does that really work, means does it have impact on the body. Herbalife is VERY popular where I live (Florida). In the town over from me, there are SEVERAL folks earning big bucks doing it. I met with a guy last week who is a rep and has a large customer base. If you go out and hustle, you can do well for yourself. I don’t think it’s saturated either. There might be a lot of reps, but most of them do NOTHING at all, so you don’t have much competition. In most companies, I would bet that no more than 10% of the reps are active and no more than 2 or 3 percent are serious. Most reps are really just customers. The first step is to quit feeding yourself with negatives. Saying the market is saturated is just a negative that needs to be defeated. I used to sell for a huge nationwide window, door, and siding company. Everywhere I looked there were other window and door companies, and their products were cheaper, but guess what? We broke records with sales. It is all in the presentation. Just because something is lower priced doesn’t mean it will sell. How do you think all those BMWs and Corvettes sell when a person could by a Toyota cheaper? It is how you come across. You sell yourself and the product. Put the negative thoughts to bed. The market is not saturated. Obesity alone in America is somewhere from 40 to 70 percent. Lots of people are looking for a better way. You just have to be willing to step out of your comfort zone and have an honest, genuine conversation with others. These are all great tips. Thank you for sharing. I do not sell Herbalife, but I did recently join the Avon company. Your advice is good for all direct sales companies. I especially like the idea of collecting business cards: after all, for every card that I ask for, someone will be asking for mine in return. I also like the tip about waiting for people to call you. I recently passed out some Avon hand cream samples that I received from the company. Two friends have already asked me how to get their hands on some more. I would call those minimal effort sales, wouldn’t you? I’m glad you are getting good results doing what you are doing. Only one comment: You cannot successfully start this business or continue with this business UNLESS you have some money to back you up. I am a former Global Supervisor, and trust me, I lost thousands of dollars, and the loss was not due to not having worked hard enough. In fact, I put in 12-hour days into this business. It’s simple math. The more money you have, the more leads you can buy. The more money you have, the better for you to cover all the hidden costs. Yes, there are people who have made $ in this business, but the percentage is low. The rest of the people are just scraping by, or broke. Oh, and I’m not one of those dream busters that Global warns you not to listen to. I am someone who has had a lot of experience with Global and their way, and I am just saying, please, do your due diligence before committing your hard-earned money into this, or any other MLM scheme for that matter. I’m sorry to hear that you lost thousands of dollars trying to build up your Herbalife business. You mentioned buying leads. I am against that method because in most cases, leads bought are not worth a nickel. I believe in generating your own leads. Chuck has many different posts all throughout this website on great methods to generate leads. I too am sorry if you lost money attempting to build your business. I will agree that it does help to have a little capital to start with, but losing thousands sounds like maybe you just was not following the steps and systems the way they are supposed to work. Getting customers first, so that you have income coming in and then working on building a team. Herbalife has a great program if you follow the directions. Save your money and don’t buy any leads for your Herbalife business, especially if you don’t have good phone skills. Start with your warm market and ask for referrals. That will help you develop some of your skills. Once you are profitable and master your skills, then by all means buy some leads and try it. But start small and test your results. Don’t just spend money to spend money. Hi, I really enjoyed your article, with so many articles out there trying to discredit Herbalife as a legit business. I must be honest, sometimes I start wondering if I did the right thing by becoming a distributor. I have a HUGE problem with approaching people and telling them about the products… I have seen results of the products in myself, but not in the way that many people advocate, so maybe that is the reason why. I get into fear mode and then can’t talk to the people. Give me an audience on the other hand, I’m there… comfortable, energetic, to tell the people about it. Go figure! Any one with some advice? If you want to succeed in sales or direct sales, you have to step out of your comfort zone and talk to people. There really are no other alternatives. Even if you build your business online like I do, you still have to pick up the phone and build relationships with people. If you lack confidence or have a bad self image, I would suggest working on that first. I’d also study direct response advertising/marketing so you can learn how to get people to contact you first. Just my two cents. Good luck with your Herbalife business. Herbalife is HUGE! I was in Vegas during one of their conventions and all I can say is WOW! They were so full of energy and committed to the product. I wondered how much you can make with them. I see cars with Herbalife stickers and people putting business cards at laundry mats, grocery stores, etc. It seems like a good opportunity if you know what you’re doing. I think the Herbalife business offers a pretty good opportunity if you are willing to put in the work, develop a game plan and stick with it. It takes time and lots of hard work. It helps if you can find a mentor, get some customers and build up a team at the same time. It also helps to start part-time while you have a day job. Leading with products is such a great idea! I agree that more people are looking for a particular product than a network marketing business opportunity. Once they find a product, get them interested in the product itself, and then open the door for the business opportunity. And the Herbalife products are a great way to do that. The products are REALLY good and priced fairly. Once you help someone lose weight or improve their health, a percentage of these people will gladly want to know more about the business opportunity, too. First, I must say that I also will testify to the fact that Herbalife has some great products. I have used their shakes and vitamins and minerals and I am very happy.Your suggestions and tips I find, are not only great for a Herbalife representative, but for anyone marketing. Whenever I hand out my business card, I always make sure I get their card too. I then follow up with them within 1 week.Referrals are always a great opportunity. Word of mouth is one of the best sales tools, and people know what other people like. If they know someone who likes the type of products you have, they will tell you. Just ask.Lastly, you are so correct in building lists. If you contact people regularly, and they get to know you, you will have business.Great blog post! I learned a long time ago that meeting people is just step 1. You have to work extra hard to build a friendship with them over a period of months and years by staying in touch on a regular basis. Good info, wish I had it years ago when I first started with Herbalife. When you do a supervisor order only get the products that you will use F-1, F-2, F-3, don’t waste time with the negatives, many of them have other similar businesses and want you to lose before even getting started. No discounts for the ones that wish to just try the product, they always want everything for free like our current state of welfare in this country. Teach responsibility by making them play by the rules. Good point, Steve. Thanks for the comment. I think Herbalife has great products. I have used their shakes. It was hard for me to stick with it because Im not a shake person…I believe Herbalife is a great business opportunity for any who has a sincere desire in helping others live a healthier life. I think too many times, especially in the health and wellness industry, people don’t take the time to become a product of the product and it is more challenging for them to attract the people they want either as customers or business partners. Herbalife is one of those companies, in my opinion, that you really need to be committed to becoming a product of the product in every sense of the word. Yeah, you need lots of customers to make money with Herbalife. They have a great retail/wholesale markup, up to 50%. The problem is many of the products are great, but at a higher price point than most people can afford. And you can buy the products cheap on eBay, which makes it hard to get customers. These are some great tips, Chuck. I think the key to success in promoting your Herbalife business is to create a plan and then take daily action for a few years. You must be persistent and consistent. You won’t get immediate results right away, but if you follow your plan and tweak things as you go, you will get much better at finding Herbalife customers and distributors. Good points, Stacey. Keep it simple. Develop a plan. Take action. Learn from your mistakes. Persevere. My best Herbalife marketing tip is to focus on people in your target market. Find people who need to lose weight AND want to lose weight. This is where you will get your best results. I like the second tip about collecting business cards. Doing so is a good way to network and develop contacts that could be beneficial to your Herbalife business in the long run. One of the best things I did for myself and my business was create business cards that I made it a point to hand out whenever I came into contact with someone. Based upon this, I met people when then became interested in my business and wanted to be a part of it. I also me people that were able to help me when it came to marketing or advertising. It was a very beneficial thing for me that I am glad I did. I think every Herbalife distributor should focus on collecting business cards from people they meet and then follow up with them a few days later. If all you do is hand out your Herbalife business card to people you meet, you won’t get a very good response rate. People simply get busy, or lose your business card and forget to follow up. That’s why you need their business card instead, so you can follow up whenever you want. Everyone in MLM should take every opportunity to collect business cards, period. Always have a few of yours in your pocket to pass out to potential customers who ask for them, but ask everyone you meet for theirs. There is all of their contact information, right there on one handy little piece of paper. There was a time, a few years ago, when I felt like everyone was hesitant to take business cards from others, as if it were an obligation or something, and I am glad to see that you keep stressing the importance. I love to see those fishbowls at restaurants, with a little sign saying that you will win a free lunch if your business card is pulled out of the bowl in a monthly drawing. Those bowls are always full. Genius. Good points. Business cards still work great! Recognizing a business opportunity and being able to do something about it when you see it are two different things. If you want to start a business, being perceptive is crucial and you cannot afford to be indecisive. Working for an established company like Herbalife doesn’t sound like a bad start for someone with little experience as long as they have good advice. Having good advice from someone who is already successful is very important. But at some point, you have to roll up your sleeves and take massive action. Hello. I joined the Online Business System 5 months ago. Yes, we do distribute products for Herbalife. The business package is in fact $39.95, and there is a start up fee if you decide to join. If for some reason you do not wish to continue making money, they give you a 90 day money back guarantee. This is not a scam!! Before I joined, I thought it was a total scam. But because they offered to sell the Business package for $9.95 at the time, I decided to order it and read through it. The day that I got the package, someone called me to go over it with me. After going over a few things, I decided to join. They help you every step of the way. I myself am really pleased with the income that I am making. My first month I made about $1100. My second month I made about $1800. My third month I made almost $3000. And my forth month I made $4200. Honestly, you don’t have to do a lot of work. I get on Twitter and Facebook twice a day and put up a tweet/status about the products. And my inbox gets full with people wanting to buy products. I send them to my business site and leave it from there. They tell their friends and family, and they buy products. It’s that simple. But hey, I guess there are some people out there who don’t want to make money. I enjoy this business. This is the best thing I ever decided to do. Glad you are having great success with the business. I wish you continued success. Keep up the great work. Herbalife was a great company back in the 1980s and 1990s, but it is a bit outdated now. Between the inventory requirements and 10 customer rule, it can be very difficult for the new rep to make any kind of money. I think there are much better options out there. I agree with you about the 10 customer rule, although I think having lots of customers is a good thing. Most of the top earners joined in the 80s or early 90s, but I still believe you could join today and make it to the top ranks. It would just be difficult to do.